School Police in California’s crime plagued city of Compton will have a new tool at their disposal in the upcoming school year – AR-15′s rifles. The rifles will be stored in the trunks of patrol cars while the officers are on duty and will only be issued to certain, pre-approved officers. But some community members are upset about the policy, questioning the utility of having such high-powered firearms in the hands of school police officers. Orozco said the police could better focus on day-to-day security concerns on campus, rather than arming themselves for a worst-case scenario. He also pointed to a lawsuit filed last year by parents in the district, alleging racial profiling by Compton school police officers — as well as recent allegations by students of excessive force — as evidence of a rift between the department and the community. 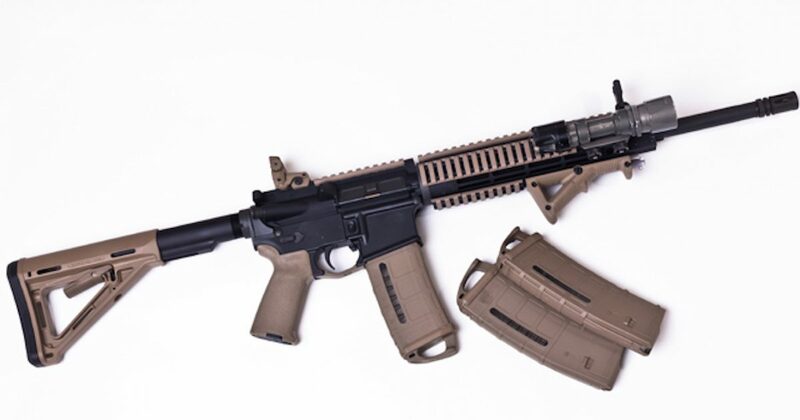 Of course, the California media and some opponents have called the rifles in question “assault rifles,” however officials did verify officers will be carrying the semi-auto variety.